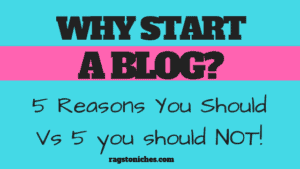 Why Start A Blog? 5 Reasons You Should Vs Should Not! Last updated on December 29, 2018 By Nat Leave a Comment This post may contain affiliate links. We appreciate you supporting Rags To Niches! Full disclosure here. 5 Legit Ways To Make Money From Home: For Disney Fans! 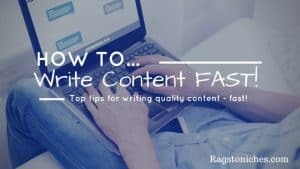 Last updated on April 5, 2019 By Nat 6 Comments This post may contain affiliate links. We appreciate you supporting Rags To Niches! Full disclosure here.